The printed word–that is, actual ink-on-paper printed word–is still going strong among the Amish. As more and more of us consume media on electronic devices, Plain families across North America continue to get their news and other written information the old-fashioned way. It’s no surprise that there are scores of Amish-produced publications–in fact, one Amish publisher counted 50-plus subscription publications among his people. These include correspondence papers, newsletters, devotional periodicals, and other topical publications that cover everything from buggy-making to special needs education (see The Amish, p. 374-75). 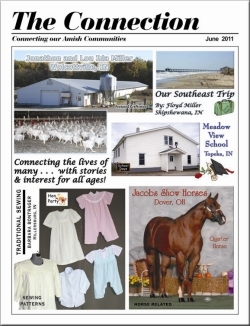 Below I’ve listed five of the more popular Amish periodicals. If you’d like to learn what Amish enjoy writing and reading about, you might like these publications. With that in mind, I’ve also included subscription info for each. We start with one that is not technically produced by Amish, but rather, widely-read by Amish. This Sugarcreek, Ohio-based weekly newspaper has two versions, a Local and a National edition. The National Edition primarily consists of letters from mainly Amish and Mennonite scribes giving local news from their communities across America and beyond. 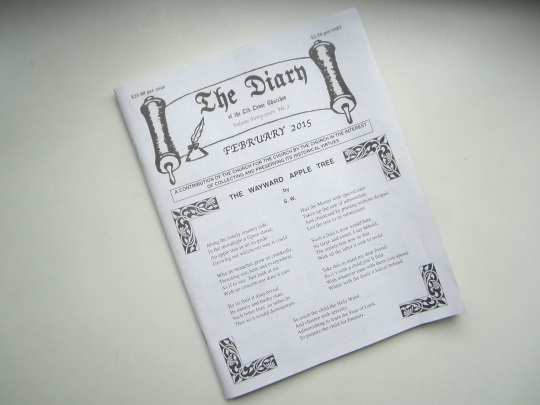 Scribes write in with news on the weather, births, accidents, church, and other events. If you visit a scribe, you might even see your name in print the following week. There are some other features including info on showers, obits, and quite a few ads. The Local Edition is the National Edition, plus a more traditional paper covering Sugarcreek and parts of Holmes and Tuscarawas counties. To be honest, since there are a lot of similar reports, Budget letters are not always the most captivating reading, but they do give you a look at everyday Amish life and tell you what other Amish people are interested in knowing. There are different prices based on which edition, and if choosing the Local Edition, whether you live in Ohio or not. From The Budget website: Subscriptions need to be prepaid. We accept Visa, Mastercard (by phone) or check or money order by mail only. We do not accept checks over the telephone. Office hours are 8 a.m. – 5 p.m. EST Monday through Friday. This black-and-white monthly publication is produced by Pathway Publishing, an Amish company out of Aylmer, Ontario. Karen Johnson-Weiner describes Pathway’s publishing activities as “actively examin[ing] Old Order beliefs.” As the editors note in discussing their mission: “We at Aylmer feel very strongly that our church is not becoming a ‘dead’ culture; therefore, we try to instruct our young people in the whys and wherefores of all practices” (see The Amish and the Media, p. 209). Likewise, much of Family Life consists of fictional stories, or (often-anonymous) first-person pieces which teach a lesson, discuss a challenge, or emphasize particular values important to Amish and Mennonites. There are also regular features including a health questions column, Homemaker’s Page, Letters to the Editors, Problem Corner, quizzes and poems, and a historical feature, Yesterdays and Years. These generally appear either in every issue or every other issue. Family Life has a very plain feel which appears to have changed little over the nearly half-century since it was started in 1967. The only “ads” are occasional notices from the editors about publications that readers might be interested in (no classifieds or image ads in this one). I appreciate Family Life for the insights it gives into Amish life. It reflects both the ideals Amish as Christians aspire to, and the problems they face as real people. This is a very inexpensive publication, costing $11 for a year’s subscription (11 issues). You can also get it combined with two other Pathway publications, Young Companion (covering youth issues) and Blackboard Bulletin (on schooling), for $21. If in the US, you’ll need to include enough postage to get to Canada, which the editors tell us is $1.15 for 1 or 2 ounces. This is a Lancaster County-based correspondence paper which is similar to The Budget in that the bulk of the paper consists of hundreds of scribe letters from Amish correspondents across North America (a recent issue had reports from 26 states, Ontario, and Belize). However compared to The Budget, this could be described as more distinctly Amish (there is a separate but tiny “Mennonite” section in The Diary, but the focus of the paper is Old Order Amish). This is also seen reflected in reports on church districts divisions, minister ordinations, and migrations. The Diary also contains listings of births, marriages, and accidents (recent accidents include “Scalded in Hot Water”, “Buggy Hit by Semi”, and “Man Hurt While Butchering Pigs”) as well as shower requests for the ill, injured, and others who have encountered hardship. Unlike the weekly Budget, this is a monthly publication, and costs $25/year. This informational and advertising monthly is for those interested in business issues or looking for Plain businesses and products. A recent issue included 19 articles, among them “Industry Insider” features (interviews and profiles of businesses such as Pioneer Equipment, a horse-drawn equipment maker), and advice articles covering topics such as financial issues and other business-related questions. 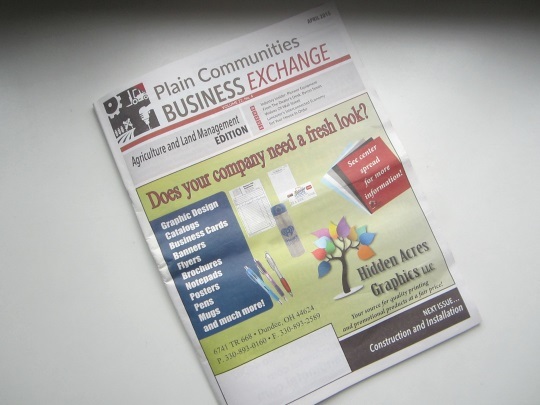 Plain Communities Business Exchange is also a popular advertising venue, and if you enjoy ads for Amish and other Plain businesses, you’ll probably like the many ads in the publication. I generally quite like the advertisements in these publications as they give a back-door look at the needs and interests of Amish, in this case business owners. For example, ads in the April 2015 issue cover everything from battery typewriters to tubular skylights to “computerless email” to something called the EZ-Gluer. We’ll have more on Plain Communities Business Exchange next week in a special interview with the publication. New subscriptions may take up to 6 weeks for first delivery. This is a fun publication out of Topeka, Indiana which we’ve featured here before. It consists of regular columnists sharing stories about their lives and other topics. Compared to the letters in The Budget or The Diary, which are often a repetition of facts and occurrences, these contributions are more personal, interesting and thoughtful, and there is a wider variety of topics covered. An entire page is devoted to each column, though there are considerably fewer contributors compared to the number of scribes for the correspondence newspapers. Having church in our homes is in keeping with the simple lifestyle that we profess to live. It also spreads out the work load to all that are able to take part. While I am writing this I am aware that there are Amish churches that have churchhouses to meet in. I respect that and do not wish to knock them in any way. Sometimes it is good to look at all the work and activities with a bit of humor. A few years ago the weather was extra warm, and as we were in the weeks of preparation, some good friends and neighbors sent a “Care Box” to help us through those warm times with the extra work and heat. In it were found; a container of delicious rhubarb punch to cool us off, a good meal to strengthen our weary bodies, and a bottle of Rolaids to take care of the heartburn that is brought on by stress. Other features include book reviews, a monthly profile of a different Amish school, Featured Craftsman profiling a business, a few recipes, a health column, and a kids section. Of all these publications, The Connection comes closest to a magazine feel, with a lot of color throughout. The Connection costs $45 for 1 year (12 issues). I hope this will be helpful for anyone interested in receiving one of these periodicals. What other Amish publications could you add to the list? I’ve received the Connection for a few years now and I really enjoy the articles and like Erik said some are personal and reflective. That is probably what draws me more. To your list I would add Raber’s Almanac. Some of it is printed in German, but the bulk of its contents is in English. The Almanac’s main value to us English is its Minister’s List, which provides the names and addresses of bishops, deacons, and preachers in every church district in the U.S. and Ontario. The Almanac can be purchased in some Amish stores and I’m sure by mail from Aden B. Raber, 2467 CR 600, Baltic OH 43804. The 2015 edition cost me about $2.00 or $2.50. Below is the website and they have a link where you can view a sample copy. For only $15.00 for a year I think this is a very educational publication. With a lot of business to business articles. They have the option to subscribe on their website now. I pick up a copy of this every time we shop in Walnut Creek, or at one of the local “Amish marts” in our area of Freeport, Ohio. Thanks for the list, and all the additions from readers, 4 of these I never knew of and am going to look at! You know, one of my sisters and I recently discussed how when one interacts with the Amish (and now, I see, when one reads publications written and read by them), one does not get the impression of someone with “only an eighth grade education.” I find it easy to forget that I am speaking to someone who concluded formal education at a point when I was less than halfway through mine. I think, of course, some of the reason is that there are other factors involved when an “English” person in our country drops out of school in eighth grade, so what we think of as an eighth-grade dropout is not an intelligent person with a healthy mental attitude who is competent to function as a productive member of mainstream society. The difference is about more than whether the person has, say, studied trigonometry or taken the SAT. And some of the difference is doubtless that the Amish education system is designed to ensure that eighth grade graduates have all the basics needed for life in their community and even for interaction with ours. But I wonder if some of it is also that Amish life is a more literate one, on average, than ours has come to be. How many English households no longer subscribe to a newspaper or magazine? How many English children never see their parents read a book? How many English teens are never invited into a discussion about complex issues of moral decision-making? And of course, how many of our eighth-grade dropouts are fluently bilingual and to some extent bicultural? There is a lot of mental stimulation in the mainstream of Amish life. I think it is easier in our society to be a “dropout” from intellectual discourse, no matter what one’s level of education. You are comparing an Amish 8th grade education to an American 8th grade Common Core education. There is no comparison. Additionally the Amish start working at approx aged 14, then start paying rent & food to their parents. I just sent off for a subscription to Family Life!! I take the Budget. They actually have a waiting list now for new community scribes. writing. The Budget will celebrate its 125th Anniversary this summer with a celebration and program in Sugarcreek, Ohio. I have read several issues of The Connection. Most of the articles are very interesting, but I am often surprised to see an article or picture that does not seem Amish. 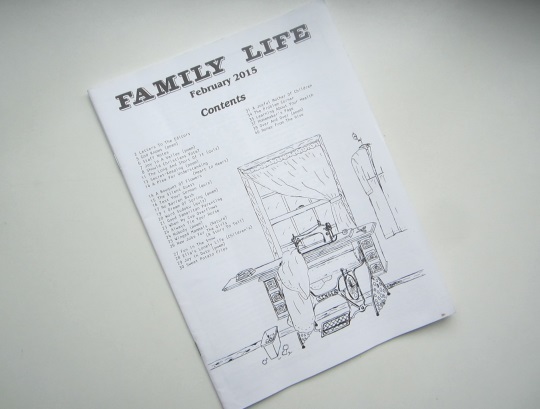 I’ve also read several issues of Family Life and think your description of it gives a good picture of what it is like. I think the publishers should be commended for only charging $11 a year. the publication, which is very reasonable. If you are interested in a quarterly magazine that focuses on small-scale farming, Amish Bishop David Kline is the editor of Farming Magazine. You can view a sample copy of the magazine. There are 4 issues per year. $18 for one year, $32 for two years, United States. Canadian and Foreign Order prices available. They also have an Electronic Version of Farming Magazine for $10 a year. How about KEEPER”S AT HOME ? It is a great encouraging magazine for Christian women. It is published by Carlisle Printing. It comes out 4 times a year. Many inspiring articles and helpful hints.You can even find back issues on Amazon and E-bay.phone number for Carlisle :1-800-852-4482. Did you ever cover the monthly newspaper “Plain Interests”? I would include an address & subscription fee if I had it, but we are not getting it anymore. It would be a good one to cover. I don’t know if they have an email address though since I think, as the name suggests, it’s a bit plainer. I read Plain Interests, but get my copies from a friend after he has read them, so the latest copy I have is the Dec. 2014 issue. Here is the mailing address, cost, etc. as listed in the Dec. 2014 issue. I didn’t find any email address in the publication. Two years or two subscriptions: $15 each in U.S., $24 each in Can. I use to get this, but after 4 issues I never seen another one…..I don’t mind losing the $$, since it is going to support a plain lifestyle, but I would like to know what happened to it. I agree with Mary, just let them know about it John, there had to be an oversight or mistake to explain why you’re not receiving as many as you expected. Erik: Do you happen to know if the subscription rate for Family Life has changed from the 2015 rate? I would like to subscribe, but want to send the correct amount. Love the website! Keep up the good work! Thanks Joe, and thanks for adding JPV to the list. I enjoyed my visit to the office last month and meeting the team. Great job on the magazine!